The Adelaide Oval was supposed to be an ideal venue for team India to salvage some pride as it is known to be the most batsmen friendly pitch in Australia. And batsmen friendly it was. 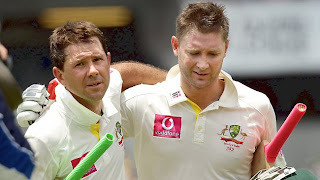 Ponting and Clarke hammered double centuries and the Indian team looked like the 2G operators after their licences got canclled by the Supreme Court Judgment. If cancellation of 2G licences made headlines in India, the other 2G , Gautam Gambhir didn't have a clue where the ball flew after hitting the gloves, knuckles, handle, and everything except the bat. His bewildered look which involved fixing his gaze at one spot on the wicket (as if to show there was an awkward bounce) was the finest piece of acting one could ever see. The videos of the Gambhir expression are going viral at the acting schools in India, and other places.Now only if Karnataka ministers were watching these videos then there would be far less trouble. Gambhir has around 2,25,000 followers on twitter but follows only around 12 and in his spare time, follows the ball outside the off stump. Going by the Supreme court judgment, the 2G auctions now look a reality , but the IPL auctions took the centrestage with Ravinder Jadeja getting the highest bid, bought by CSK and the 2011 World cup sensation Irishman Kevin O'brien going unsold. The other person who hit the jackpot was Ritesh Deshmukh who got married to Genelia D'souza. Not used to the solo hero films for a long time, Ritesh had to be reminded that he was the only leading man at the wedding and there was no need to wait for the main lead ,thereby resulting in a slight delay. The way things are going , people feel even Uday Chopra may strike gold by getting a movie opposite Aishwarya Rai or for that matter get a movie in the first place. Speaking of the 2G, the Supreme Cout Judge, Justice Ganguly delivered the judgment and retired, unlike the aging Indian cricketers who neither deliver nor retire. Sachin, it seems, has decided to retire only after Karunanidhi retires from politics which means Sachin is likely to open the innings with his son Arjun in the World Cups post 2019. There has been a lot of talk about what has been India's undoing in Australia. A lady claiming to be a numerologist to many a star, attributed it to the letter "P" But when she was reminded that only Ponting has a "P" in his name,and not Michael Clarke, she looked at me just like Genelia's folks must have looked at her after she announced her plans to marry Ritesh Deshmukh. We also asked her if she was the person who advised CSK to buy Ravinder Jadeja. "Look, nicknames of both, Ponting and Clarke are "Punter" and "Pup" respectively...so all players with nicknames starting with "P" do well. In fact Duncan should have nicknames starting with "P" for all the top Indian batsmen like Ashwin etc. ", she said. She wisely didn't say that it was her numerology that has helped stars like Bobby Deol and Harman Baweja. Sachin showed why he is a great animal lover by offering his wicket, first to "Pup" and then "Lyon'.in the series. Sources inform us that Vinay Kumar had once applied for a job at a pizza outlet as a delivery boy. He was rejected on two counts; he was slow and he couldn't deliver. Umesh Yadav clocked his fastest delivery at 151 odd kmph. Vinay kumar also clocked 151kmph but only when the ball left the batsman's bat and crashed into the boundary. Pakistan were all out for 99 in the test match against England. Now they know what it feels to be like Sachin Tendulkar. 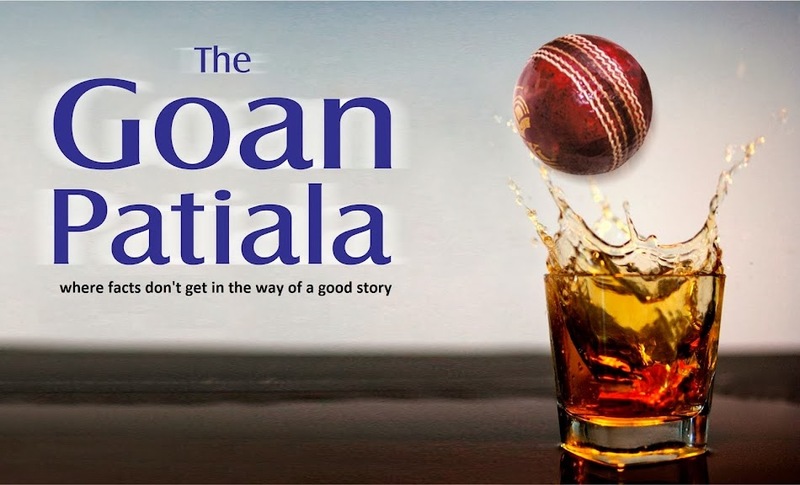 An insurance commercial made by some insensitive people is making a capital out of Yuvraj Singh's ailment. Sick. How we wish we could ask these people, to grow their nails, make them bat barefoot, and ask Malinga to bowl those toe crushing yorkers at them. We are pretty sure Yuvraj will treat this ailment just like he treated Stuart Broad's bowling in 2007 T20 World Cup- and send it out of the park. There was a sudden rise in the viewership of channels telecasting matches with Hindi commentary. Inquiries revealed that the phenomenon occured whenever Sanjay Manjrekar entered the english commentary box and viewers were compelled to switch to a hindi channel.. The Triangular series in Australia called the Commonwealth Bank Series. Kalmadi promptly clarified that he had nothing to do with it. Rohan Gavaskar announced his retirement from competitve cricket and everyone remembered that Rohan was still playing. Sunny bhai remembered that he has a son called Rohan. The Perth test was like Harman Baweja starrer "Victory". It just lasted 3 days. The new rotation policy has come and its only for the players and not the sponsors, which meant Sahara is back after snapping off the ties with BCCI. Dinesh Karthik will be playing for the Mumbai Indians this IPL. There were some reports that some elements would not allow an "outsider" in the Mumbai Indians team. Karthik cleverly didn't arrive in Mumbai by train and as such, was neither stopped nor sent back. The BORDER -GAVASKAR trophy was likely to be named as BORDER - PRABHAKAR trophy, considering the abysmal performance of team India in Australia. But the section of Mumbai fans opposed this and said that Gavaskar has to be replaced by a Mumbaite and not an outsider, and its likely that Prabhakar's name will be replaced by another Mumbaite. 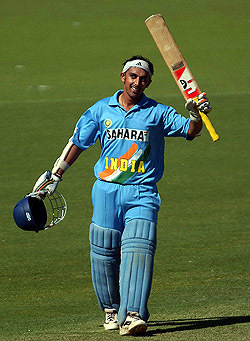 Agarkar. Beautifully written. How do you come up with such well reasoned satire and sarcasm.....?